Seven Stars Cycles: Durham's Transportation Bicycle Shop: More W/T/F BikeCamping! Joint sub-twentyfour hour-overnight with OCCP on Saturday Sept 23rd! 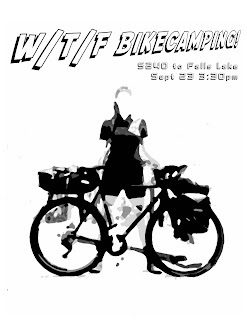 Register here https://www.eventbrite.com/e/womentransfemme-bikecamping-tickets-37293571075 or email lisa@sevenstarscycles.com for details!